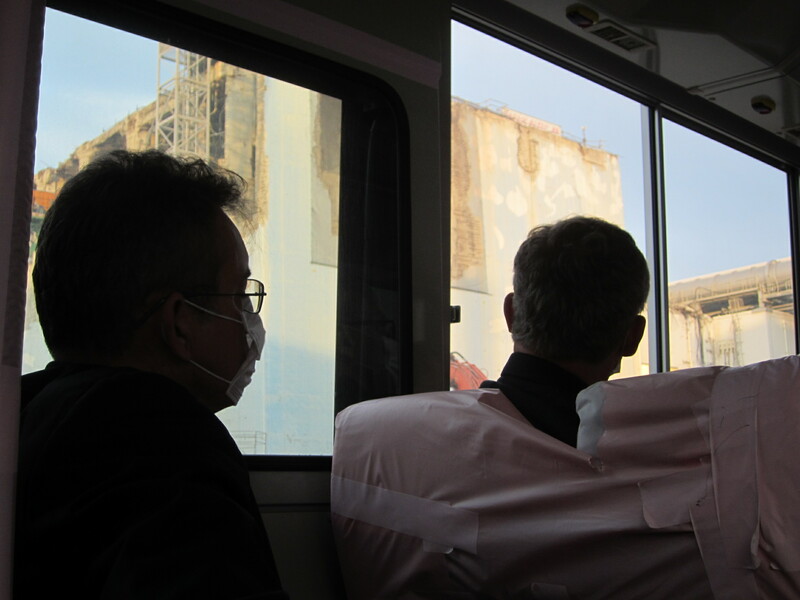 After repeated government and utility failures plunged public confidence in the response to the Fukushima nuclear disaster, Japan promised to accept more outside assistance. In an interview with Reuters in October, TEPCO president Naomi Hirose said the utility was seeking expertise from all over the world. No sure estimates can be found to use to accurately forecast how high the costs will run. A government oversight panel has estimated it will cost $15 billion to decommission the reactors, not counting for the costs of disposing of radioactive waste. TEPCO recently said compensation for evacuated residents and decontamination of areas outside the boundary of the Fukushima plant could double from previous estimates to almost $125 billion. Half-a-dozen executives at companies with nuclear industry experience raised questions about the Japanese government’s and TEPCO’s oversight of the process. Japan is failing to keep a pledge to tap global expertise to decommission its crippled reactors, they say. Most executives asked not to be named for fear of jeopardizing their ability to win future work in Japan. Louisiana-based Shaw Group worked on clean-up projects after the Three Mile Island and Chernobyl accidents and in decommissioning eight U.S. commercial reactors. “There appears to be a desire to treat this as a science project and reinvent the wheel,” Jeffrey Merrifield, senior vice president of U.S. nuclear engineering firm Shaw Group Inc’s SHAW.N power division told Reuters. Shaw’s Merrifield said his company was no longer working on any projects in Fukushima. Shaw sold its stake in nuclear plant company Westinghouse Electric Co to Toshiba for $1.6 billion in October. Takuya Hattori, president of the Japan Atomic Industrial Forum, a group representing the nuclear industry in Japan, said the government has not been responsive to complaints about the bidding process. “They are shutting that criticism out incredibly deftly,” said Hattori, a 36-year veteran of Tokyo Electric Power Co, the operator of the Fukushima plant. The result, they all agree, is that a response which was once expected to take more than 30 years and cost at least $15 billion will surely take longer, and cost more as contracts are channeled through domestic heavyweights such as nuclear reactor makers Toshiba Corp and Hitachi Ltd, and general contractors such as Taisei Corp. The majority of contracts for Fukushima have been awarded directly by TEPCO, which outsources decontamination and debris-clearing to general contractors. Decontamination contracts outside of the plant site are handled by Japan’s environment ministry and local governments. A review of bidding records by Reuters shows companies from outside Japan have failed to win any of the 21 contracts awarded this year to develop technologies crucial for the unprecedented job of scrapping the four damaged reactors at Fukushima. Japan’s Ministry of Economy, Trade and Industry has so far allocated about $11 million to Toshiba Corp, Mitsubishi Heavy Industries and Hitachi GE Nuclear to fund technology development for the year to March. That includes a project to develop sensing robots that can enter highly radiated areas to pinpoint the site of the meltdown. “This is a project we are pursuing with taxpayer funds, so we believe it is our No. 1 priority to be transparent,” said Kentaro Funaki, director of the ministry’s nuclear accident restoration office. “Foreign firms simply sell their product without providing back-up services or maintenance. We can’t sign a contract with a company that we can’t get in touch with immediately and one that will rush to deal with any problems right away,” one executive from a Japanese nuclear firm said. Japan’s three major nuclear companies say they post notices of bids on their websites. Hitachi GE Nuclear posts bid notices on its website in both English and Japanese. The company said it was working as quickly as possible to restore and rebuild Fukushima and the short bidding periods were not designed to shut out foreign firms. Toshiba said it posted contracts on its website, but deletes them after a vendor is selected. Contracts are awarded by an outside panel of experts with the highest score given to technology and cost. Toshiba declined to comment on the lack of foreign involvement in research contracts. Mitsubishi Heavy recently posted a notice on its website that it would soon invite bids for equipment to investigate the pressure containment vessels at the Fukushima Daiichi plant.